Made from stainless steel EN 1.4404 and fits our stainless steel post (sold separately). 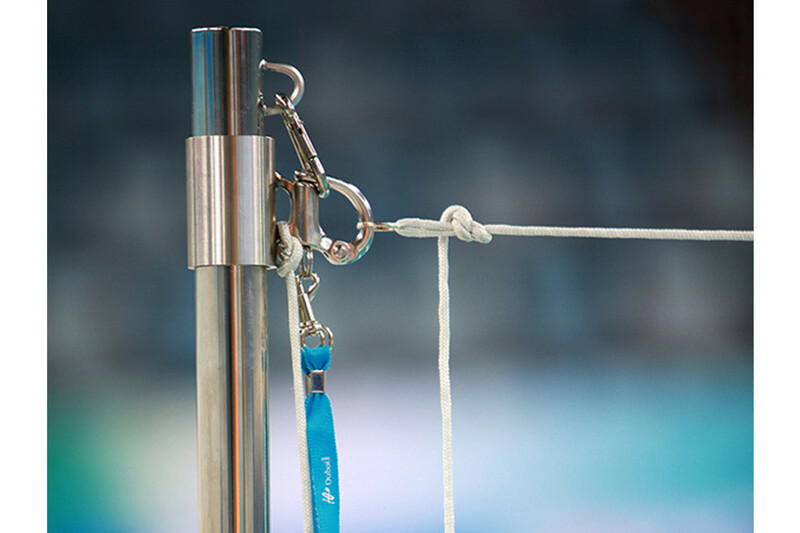 A soft covered nylon false start rope, with a leaded core, may be easily affixed (sold separately). Easy to use false start mechanism. It has an inner diameter of 40 mm and comes equipped with a snap hook for affixing in post eyelet. Copyright © 2019 Malmsten AB. All rights reserved.